VIP Casino Club at 777 Casino! The Very Important Players deserves nothing but the very best! That’s why the 888 VIP Casino Club offers you thrilling VIP-only promotions. These include prize draws, giving away the latest in technology, gadgets, weekend getaways, cash bonuses and FreePlay vouchers. Take a look a the latest 888 VIP Casino Club promotions for a taste of the VIP high life, available at the 777 Casino! The 888 CIP Casino Club regularly hosts elegant VIP-only events all over the world. Everything from internationally renowned sporting events, to luxurious weekend getaways are available for VIP Club members. As an 888 VIP Casino Club member, you get exclusive access to promotions, events and rewards – but that’s not all. The more you play as a VIP member, the more benefits you’ll recieve as you rise throught the VIP standings and reach Gold and Platinum statuses. Register a real money account at the 777 Casino, and you’re on your way to becoming a valued 888 Casino VIP Club member! As an 888 Vip Casino Club member, you will be rewarded with exclusive access to not one – but all three of the 888 brands. Apart from the 777 Casino, this also includes 888casino and 888games. Through all three of the brands, you will be treated to exciting hospitality events, first-class promotions and personal account management – all tailored to suit your needs. Daily Delights at 777 Casino! Every day is a special day at 777 Casino! With their “Daily Delights” promotion, you have the chance to win on a daily basis – through freeplay, raffles, double comp points and cashbacks! 777 Casino gives a good reason for you to visit their site every day! With their promotion “Daily Delights”, you get one special offer to take part of each day. 7 offers for 7 days, how great is that? The week starts of in the best of ways, with a Jackpot Marathon Monday. You get to enjoy a 30% up to €100 FreePlay on 7 featured jackpot games. If that won’t make you jump out of bed Monday morning, we’re not sure if anything will! Tuesday comes next, which means Twilight Tuesday – that comes with a mystery FreePlay bonus. Next in line is Raffle Wednesday, where you can win as much as $777 FreePlay! Time Travel Thursday allows you to climb on the time machine. You will return to the 20’s, 50’s, 70’s or 80’s, using bonus codes that will give you bonus FreePlay when making your next deposit. To end the week right, Cashback Friday will make sure you never go home empty handed! Either win while playing your favourite games – OR get a 50% cashback up to €20 if you don’t! This concludes the weekdays, which means that here comes the weekend! Take 2 Saturdays are all about second chances! You will get double the comp points on any of the 777 Live Casino tables! Sunday Surprise will round up your week, with a splendid FreePlay surprise! In other words – if you sign up to 777 Casino casino today, you have an entire week of Daily Delights ahead of you! 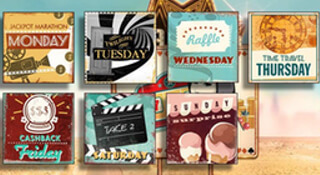 Go to 777 Casino and take part of the Daily Delights here! Earn comp points at 777! 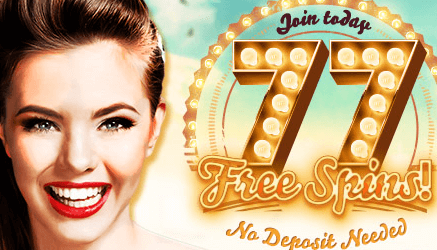 At the 777 casino, you can earn comp points just by playing – and redeem them for free cash! Every wager you make on mobile or PC counts. When you’re playing your favourite games at 777 casino, you will earn comp points for every €10 you wager. A €10 wager will get you 1.35 points, and every 135 come points you earn are worth €1 in cash, which you can redeem from the site. 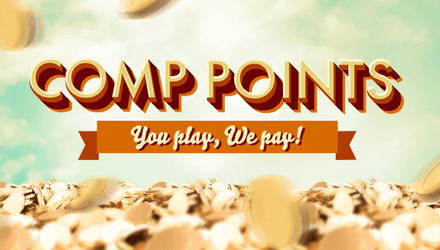 The comp points aren’t bound to any specific game type or slot, you can play anything in the 777 casino and still earn your points. In other words – you get cash back when you gamble on the site. In order to check your comp points, you can easily do that on the site. Just go to ‘My account’ in your PC lobby or top right menu bar on your mobile app. and click on the ‘Comp Points’ tab. The Comp Points will be converted to cash in multiples of 100. For example, if your Comp Point total is 340, conversion of all these points will result in €3 being credited to your bankroll. Any remaining points will remain in your Comp Point account and continue to be accumulated.